Ozone kills and denatures mould on surfaces, eliminates many VOCS and odours such as perfume. It can also remediate smoke smell in certain materials. I'm using a Jenesco Ozone Generator (affiliate link). I will explain my experience with this machine. - I also had a mould problem in another house I was living in. After the mould was remediated I was still very sick - throat swelling, extreme POTs and terrible insomnia. I then ozonated each room for 24 hours with the machine and was able to come back without any symptoms. I removed all the fabric and cushions from the area before ozonating and there were no adverse chemical reactions with the wood or anything else in the house. - I've used it 4 times now in post remediations with a 24-hour shock treatment. This for me definitely denatures mycotoxins. I have also done 48 shock treatments in metal trailers that were very effective. (I let in oxygen during that time). - However one of these times the 24-hour treatment created horrible byproducts in a wooden house. Even after excessive airing out I got extremely sick. It seems as though I overdid the ozone or did not have enough oxygen coming in. Big risk here. It was a long time before I could go in that house again. One Healclick user found it really useful in the car. She says: "I was reacting very badly to the car and it smelled like perfumed cleaning chemicals. I just couldn't be in the car unless I really had to. Now the smell is gone." I have heard the same experience on Facebook as well - ozone helping a lot with fragrance in a car. Two other Healclick users found it useful to shock a room or tent, and to "flash" belongings before any toxins could take hold. These two Healclick users I know well and they are extremely reactive to mould. Car dealerships use ozone but not super high amounts of for long amounts of time. I think this is very useful if fragrance and smoke smell are your big concerns. It's hard to know if it will help with the offgassing of a new material or house (generally it doesn't). To remove odours the time needed for treatment is much less than the shock treatment for mould. This will reduce a lot of the risks. - Ozone is a very toxic gas. People and pets should not be in the building when an ozone machine is on. Do not even take one whiff of it. Make sure you have a plan to turn it on and off while holding your breath. Ideally turn it off without entering the room (through the electrical panel). It clings to your clothes even if you hold your breath and walk through - this is not safe. - Ozone cannot remove carbon monoxide or formaldehyde (EPA). - Ozone needs to be 5-10 x above safe levels for humans to impact bacteria and mould (Shoemaker). - The place should be aired out after using ozone to make sure that the gas is not inhaled. 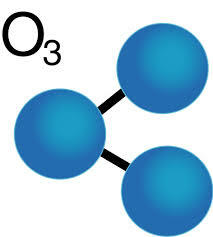 Ozone is unstable and will dissipate, but it does not dissapate in a closed space with no air flow. If other VOCs form (see below) then it is necessary to air out the place for a while. The half-life of ozone is 40 min-25 hours. If byproducts have been created then give it a few days at least. Make sure there are tonnes of open windows for the air out. - One reason government health sites do not recommend the machines is that the shock treatment used to get rid of mould toxins is a very harmful level if inhaled (deadly if you stay in there). Even the low levels recommended as safe by some manufacturers is probably harmful to anyone sensitive to toxins. So there is a huge risk if someone does not know how to use it safely. It is possible they are also wary because of the negative reactions outlined below. In many conventional houses, it might not be possible to avoid all those secondary reactions with materials. - It cannot get into porous materials to remove mould or chemicals (EPA). My experience suggests that it does denature mould that is near the surface of pourous materials. I don't think it goes very deep. - Some say it kills mould spores but does not denature the toxins (EHC). These two studies show it can denature the toxins. It can still be a good idea to HEPA vacuum after ozonating (note: you can also add a HEPA filter to a shop vac) to clean up spores. A shock treatment is sometimes very high doses for shorter amounts of time or very long treatments (from 24 hours to 48 hours). You really have to experiment if you want to denature mould and see what works for you, and be ready for unexpected results (to certain moulds or materials). Some claim that super toxins (certain moulds) will not be denatured by ozone. - May not work on clothes and shoes (Shoemaker). My experience is that there is a bad reaction with any fabric in high amounts. My experience is you really need to do many many treatments before you start breaking down most rubbers. I have done many high dose (shock treatment) ozone treatments and not broken down coatings on electrical wires. For a shock treatment, remove everything fabric or wrap them in plastic, this includes mattresses. Remove plants, pets, and artwork that is not behind glass. Tape up electrical outlets. Remove all electronics. Make sure you have everything you need before turning the machine on. Hold your breath while turning it on and while turning it off. Air out the place with fresh air for 24 hours. This is based on my experiences. Make sure you research if this is safe for you and worth the risk. Understand why the EPA does not recommend it. It is too easy to do something wrong where you could breathe some in. Treat it like the deadly gas that it is. If you are not sure if it will react with your carpet, walls, ceiling then it is a last resort treatment. You can also test a low dose first to see if any weird smells form. Make sure it is dosed correctly for the space and if running it for 24 hours it needs an oxygen source. Overdoing it can make your place intolerable. I recently had a bad experience where I overdid it with the ozone. I caused some extremely toxic byproducts. Airing it out for days has not helped. It may take months to be safe again. It's hard to know what went wrong but I got extremely sick from the byproducts smell. I generally use 3500 mg/hr in a single medium sized or large room for a shock treatment. A shock treatment which is what kills and usually denatures the mould is usually 1000 milligrams per hour (mgph) per 100 sq feet (at 70 degrees with relative humidity at or below 20%). The level you are aiming for is 6 to 10 parts per million. Many people shock for 1-3 hours but those of us super sensitive tend to keep going until something is denatured. What is a good home mixture to remove blackmold? I believe a mixture of bleach and soap and water works, but I'm not sure. We physically remove mold in the properties we purchase. If a wall shows mold on the interior of the drywall, we take out the drywall to examine the studs. The studs almost always show mold, in which case we remove the wall down to the wall plate to reach the concrete foundation wall. Bleach does not reach the roots of the mold, the EPA has essentially admitted it doesn't work for cleanup, after many years of advocating it. We have an ongoing mold problem in our bathroom. I’ve been cleaning it with bleach every month or so for the past year, but it always comes back. I wonder if the mold is somewhere behind the walls and ceiling and I haven’t actually been killing most of the mold. I think one of the hardest things to do is pull out mold, mildew and gunk from in between the tiles in the bathroom. We have hired the professional of andersenenviro and they have provided positive results, now we are free from any toxins in our home. I have never heard the idea of Ozone to Clean up Toxins. Will surely use this for nest time. In what negative ways exactly will an ozone shock treatment affect older carpeting? It reacts with all cloth materials to form a biproduct. It has a very weird smell and hard to describe. It creates a bad smell. How do you protect the ozone machine itself from becoming contaminated (with mold/mycotoxins)...and then cross-contaminating a different space? The ozone at high doses breaks down the mycotoxins so I'm not sure how the machine would become contaminated. If there is a smell in fabrics after using ozone machine for 24 hours, is there any way to get rid of it? And how might go go about getting rid of any residual smell in the house after 24 hours? I think I overdid it in a bathroom. I had kept the door shut while running an ozone machine for 10hrs. Got rid of the a odor issue we were having, but left a very strong chemical-like odor afterwards. It's been 4+ months, and after constant airing out it still smells acrid. I can't stand going in there and keep the door shut. Wondering if your situation has improved with time? It did improve but I never went back to live in the house that I ruined with ozone. So I'm not sure how long it would take to go away. A lot depends on what it reacted to and if you are super sensitised to it now. Thanks for getting back so quickly. Sorry to hear you are not able to go back. Thinking I've just become hyper sensitized. There's some days I feel like that 'smell' is everywhere. Very strange. Other people notice a faint 'off' smell, but have no problem with it. It might have reacted with the paint or tile adhesive; like a sweat plastic odor. Thinking to just refinish the entire bathroom now. Sounds like you generally had success with ozone treatments. Do you continue using it? My ozone generator has been a life-saver for me. I've lost nearly everything due to MCS and finding a safe home was vital, along with all the products that I have to live with. I've used my generator to make so many things safe, including my home itself, plastic products from China, fabrics with laundry chemicals, and even new clothing that was unwearable. The key to successful treatments – for me – is short duration usage followed by adequate ventillation. I usually do 15 minute treatments followed by hours of settling time. I'll get faint whiffs of ozone, but it goes away pretty quickly. I've had some very difficult situations that I've done repeated treatments of about an hour, but that's the longest that I've used it. For those interested: I bought a bare-bones generator that is very inexpensive. The company has useful information for using these machines, and one of the most useful pages is the one on mold: instead of advocating that people purchase their product for mold, they advise against it in favor of professional remediation. I have one of their machines as well. It seems they are not selling them anymore and I was not even able to get a plate order it (though of course you can buy those plates anywhere). They are absolutely the most bang for your buck but I cannot promote a machine with so few safety controls on it. I tried to ask them some questions about the construction bc there is a possibility in certain conditions, with a broken plate, depending on how it is made that can delivery a deadly shock. It has no cover on it and does not look like it has proper safety measures.